This could mean much more horsepower per liter, and not just for the AMG Project One. There are some pretty epic moments quietly taking place in the realm of engine technology right now, and while cars like the Dodge Challenger SRT Demon serve to highlight how plentiful horsepower ratings have become, it’s Mercedes that's making leaps and bounds in terms of efficiency. This isn’t the kind of efficiency that makes the EPA happy, instead it’s the kind that turns engineers into puddles of excitement and racks up wins for the AMG Formula 1 team. The most impressive Mercedes engine we see is featured in small cars like the AMG CLA45, which makes 375 horsepower out of a measly 2.0-liter engine. 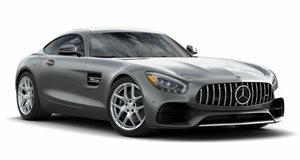 Mercedes’ other shining example of a straight shot of horsepower without the big displacement hangover is its turbocharged 1.6-liter V6 engine. That wasn't previously available in a road-legal Merc until the AMG Project One hit the stage at the Frankfurt Motor Show, and while the public has yet to digest the capability of the 11,000 RPM screamer, Motorsport claims that the Silver Star has crossed yet another threshold that’s sure to put it in the realm of engineering greatness. That’s because this Wednesday, a dyno test proved that the engine cracked 50% thermal efficiency. In the simplest of terms, thermal efficiency in an engine is defined by how much energy enters an engine and gets converted to mechanical work rather than wasted as heat. The unfortunate reality is that thermal efficiency for most modern road cars is close to 30%. That’s why cars like the Bugatti Chiron consume enough fuel to produce 4,500 horsepower, but with 70% of the energy stored in the gasoline being wasted as heat, “only” 1,500 horsepower makes it to the tires. Mercedes’ feat is impressive because it raises the bar significantly and if the technology can be applied to road cars, as so many F1 innovations are, it could be just what us gearheads need to convince the EPA to let us keep our gasoline engines just a bit longer. While the AMG Project One won’t have the exact same engine, owners can at least sleep easy knowing their power plants hit 40% efficiency. It's nice to be the best, isn't it?